Unlikely as it may seem, this could be the series when viewers learn to love first footman Thomas Barrow, Downton Abbey’s ultimate villain. 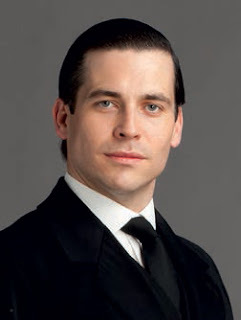 Or at least Rob James-Collier thinks so. It might mean that James-Collier finally gets a kinder reception from the public. Playing Thomas – the man we love to hate - has meant that he’s been the recipient of several passing comments. After two series of skulduggery in partnership with the fiendish lady’s maid O’Brien, this time round Thomas finds himself at odds with her. O’Brien has done everything to get her nephew in the house - and all of a sudden this woman who was always on his side is now helping someone else. Thomas gets jealous, and we should know by now that hell hath no fury like a footman scorned. It sets off a vicious circle. The irony is that off camera James-Collier and Siobhan Finneran, who plays O’Brien, are close friends. But on screen their mutual conniving is about to turn in to a rancorous spat. And James-Collier is under no illusions about which character possesses the greater resources. But for James-Collier it gives him some of his best scenes yet. O’Brien and Thomas at loggerheads is genuinely brilliant.